Why is it when you have a lot of work to do (or in my case, deadlines), you’re inspired to make all the things? I am currently working on a massive embroidery project that requires hours (and hours and hours) of stitching (and tons of thread changes) so my actual sewing time has been fairly limited (the end result is totally worth it, IMHO)…. although I have been doing quite a bit of planning! In fact, while I’ve been working, my order of vinyl arrived (Speedy Vinyl isn’t kidding when they say they are speedy – I got mine the same day I ordered!) so I hope to finally add a graphic to the Nico that I made the other day. 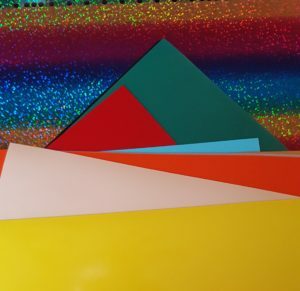 And did you check out that awesome rainbow vinyl? I have no idea how I will use it, but I can’t wait to try it out! I also discovered another custom fabric group that is selling….. Bob’s Burger’s material. I am attempting to contain myself because, well, it’s Bob’s Burgers, Speaking of custom prints I received my food prints from Pink Zeppelin Boutique (Stacked Tacos and Burgers in a French Terry) which will eventually become a Beloved style tee and hoodie. Now it’s time to get back to work so I can start making all these ideas into a reality! What’s on your agenda this weekend? This entry was posted in Uncategorized on April 28, 2017 by stacy. Swing tank tops are very popular this spring. Learn how to make your own here (the site will need to be translated). Need a bit more coverage for work? Then whip up a trendy kimono too! Grommets and eyelets don’t have to be a functional notions, they can be used decoratively too. Learn how to design with hardware with this Starburst Bag tutorial. What a great idea: keep backpacks dry this spring with a handy cover made with recycled umbrellas! Even if you don’t have a class in your future, this Craft Bag is perfect for bringing your supplies to practices, traveling, or anywhere you have some time to work on your projects while on the go. This pooch pad isn’t just adorable, it has a handy removable line for easy washing. Get your little one ready for spring with this adorable Knot Bow Romper tutorial. This is no ordinary fabric basket, this one has dividers making it perfect for small storage! Looking for a new crossbody bag? The Ariel Tote is the perfect solution and features a fun, braided strap. No one likes a cold pot. Keep your tea warm with this Spring Cozy. 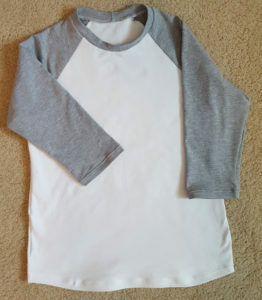 A fun twist on a Disney themed shirt: Mickey Ears on raglan sleeves. These picnic placemats not only roll up, but they keep all individual utensils and napkins handy. Then whip up this picnic tote and lunch outside! Let’s bring back hats! Learn how to make your own beret. Sew your own sweet elephant stuffies. Looking for something more challenging? Then be sure to check out Malcolm the Dog. This entry was posted in Uncategorized on April 27, 2017 by stacy. Before I started anything else I finally made a second Nico (you can see my previous version here). To change everything up, I decided that this time around I would make a curved hem tee with 3/4 sleeves. Once again, everything came together well and it sewed up quickly. My original intent was to use the Cricut to add a fun design to the front. Unfortunately, Design Space (Cricut’s online designing program) wasn’t working properly yesterday (from my understanding they are upgrading to a new version very soon which may be the source of the problem) so the front is still blank. 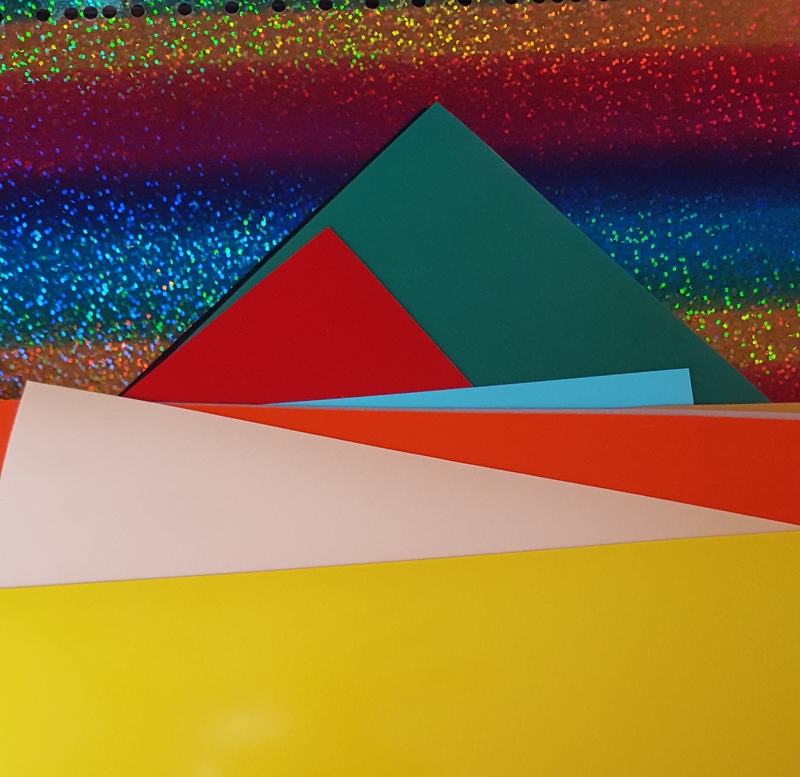 I suppose this gives me a chance to order some more vinyl since my color selections are running very low. In the mean time, I’m wondering if I show this to Easton if he’d wear it anyway? This entry was posted in Uncategorized on April 25, 2017 by stacy. Even though they have stopped selling them for quite some time, I am still making my way through a lot of my Girl Charlee Knit Fix bags. Some of the prints I have been saving for “just the right project” and others I never knew what to do with. However, I finally found a project for a brown and teal Navajo fabric that I received in a December (2015) bag (it’s the upper left hand print in the link)….. Jalie’s Rova. While I wasn’t initially fond of this print, I think it will totally work well with this pattern. Since we’ve still been having cool weather, I decided that I might pair this one up with a cardigan as well. Unfortunately, I didn’t buy the new Jalie pattern, so I’m going with my favorite so far – the drop pocket cardi. While deciding on the pattern was easy, finding a blue that might match the Navajo print was another story. I wound up selecting this Pacific Blue Modal which is about as close as I will get. My only initial complaint about this is my sticker shock when I paid for the material, which was over $30 on sale (it seemed sort of steep for Joann’s, I’m hoping the quality is worth it). Now to get this project rolling (I’ll also post about total costs as I make these up) – this weekend was a whirlwind of activities… including Easton’s birthday (9, where did the time go?) that I didn’t even have time to think about sewing – now that’s a first! This entry was posted in Uncategorized on April 24, 2017 by stacy. Aside from the very mundane task of pattern tracing (and who really wants to see or hear about that? ), I have no new projects that I can show you this week. I can say that I did work with a very lovely double gauze (no sneak peeks of this project this time, though) and now I am thinking that I would like to make a shirt out of it for the summer. I think it would be perfect for hot summer days. I will also admit, I am now that (crazy dog) person. I spent an afternoon in the kitchen making…. dog treats. Yesterday we finished up our “basic manners” obedience class and I thought that I would whip up treats for everyone….. and for a few family members that we’ll see this weekend who have dogs too (seriously, I made a lot). Then I packaged them up and used my Cricut to make little tags to label them. Now it’s back to some sewing. I am determined to get the Rova Tank Dress started this weekend (and maybe toss in another NIco). This entry was posted in Uncategorized on April 21, 2017 by stacy. Change up the look of any bedroom in just 15 minutes with this easy pillowcase tutorial. This small canvas tote is perfect for summer. Looking for something more modern? Then try this leather two-tone foldover clutch. This v-neck dress is perfect for dressing up or making it casual. Has Starbuck’s Unicorn Fappuccino given you unicorn fever? Then be sure to check out this easy felt unicorn horn headband. Help keep your sewing room neat and tidy with this thread catcher pattern. Learn how to use your sewing machine and a few leather scraps to create a stylish new bracelet. In my personal opinion, one can never have too many potholders. Especially when they are scrapbuster projects like this patchwork version with pockets. While you’re visiting the site, be sure to enter to win an April Mug Rug Kit. Still have April the giraffe on the brain? Sew up you own version of April with this free pattern. If giraffes aren’t your thing, then try this sock kangaroo (complete with a joey) pattern instead. If traveling is in your future, then you’ll want to check out this oldie, but goodie Cargo Duffle pattern or this beautiful quilted mini suitcase. This entry was posted in Uncategorized on April 20, 2017 by stacy. I love sewing project books, but it’s been awhile since I fell in love with one. 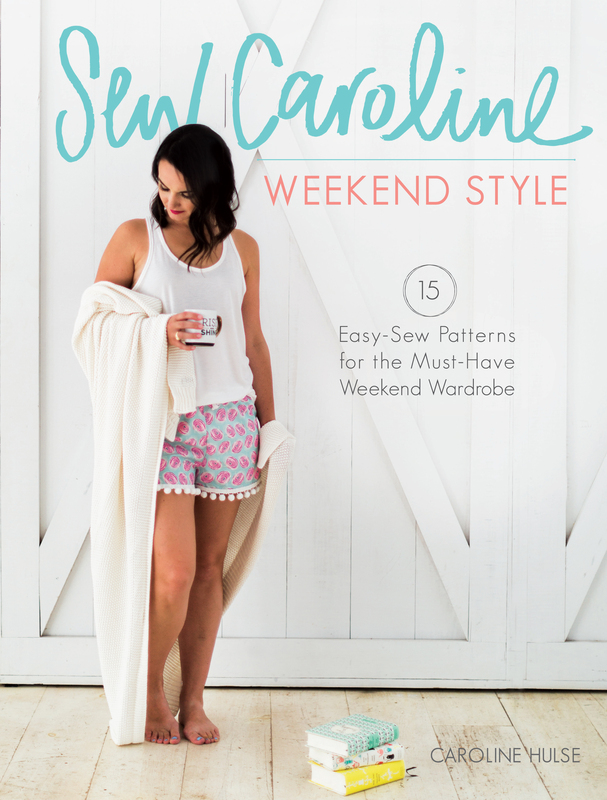 That is until I received Sew Caroline’s Weekend Style. This is Caroline Hulse‘s first book and she does not disappoint – it’s chock full of 15 projects that are easy to sew and cute to wear. Included in this title are 9 garments ranging from sweet tees, comfy shorts (as seen on the cover, Taylor has also requested these), and pretty skirts and dresses; 3 different bags, and 3 accessories (can you say custom flip flops?). All the patterns are in PDF format on a CD located in the back of the book and are printed off with a home computer. The directions are easy to follow which means that even a beginner could use this book without difficulties and there are plenty of illustrations to help along the way, if needed. Also included In Weekend Style are sections to assist you in selecting tools and materials, basic stitches, how to assemble a PDF and finishing techniques to give your project a professional finish. As of right now, I can’t comment on the overall fit of any of the garments as I haven’t had the opportunity to sew them up yet, but I have several in cue to make soon (so more on that later). However, by the looks of many of projects, there is enough ease to a majority of them that alterations may not be necessary. The bottom line: If you’re looking for projects that are easy to sew, comfortable to wear, and great for all skill sets, I highly recommend Weekend Style. This entry was posted in Uncategorized on April 18, 2017 by stacy. I hope everyone had a Happy Easter. 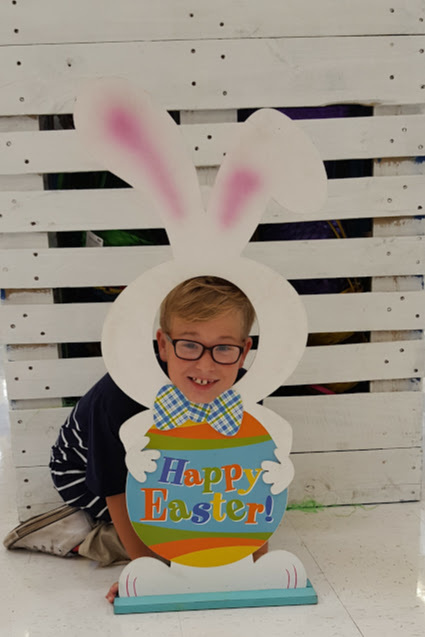 Somehow our weekend wound up being incredibly busy – games, brunches, haircuts, Easter festivities… you name it! Of course, that means that there was no time for sewing, which is a shame because I am incredibly behind on a few looming deadlines (that also means that I will be playing catch up the rest of the week and no fun, outside projects for me). 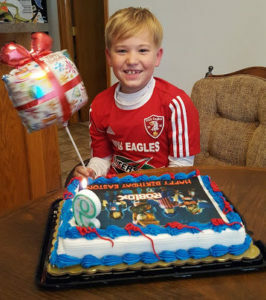 The only real project that I was able to complete was a confirmation gift for my niece (not photoed since there are times that my family may see this post) and a t-shirt for Easton’s birthday (he will turn 9, yes, 9! on Sunday). 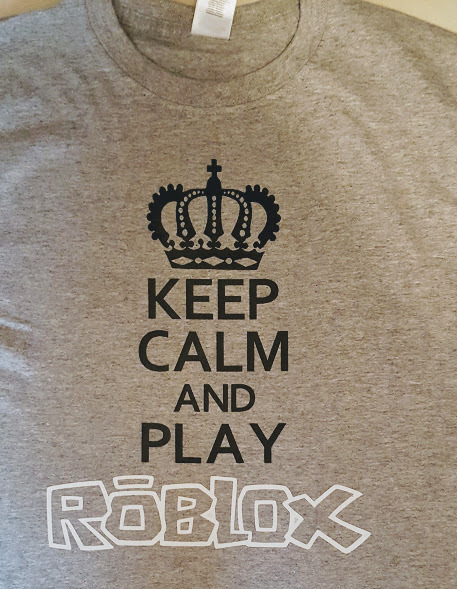 He is very into Roblox (online gaming) and had wanted a themed shirt. Unfortunately there aren’t a lot of tees out there. But who needs to buy a shirt, when you can make one, right? So, I cracked out the Cricut and came up with this design. 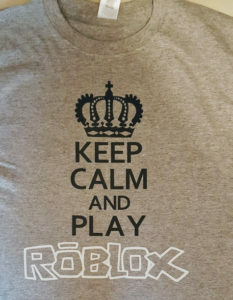 I created the crown with the “Keep Calm” text in Design Space and then made the Roblox by transforming their .jpg logo into the .svg format. My original intent was to do the logo in red, but realized that I was short on iron-on vinyl by several inches so I went with a glow-in-the dark instead…. I think it lacks some ‘pop’, but when he turns out the lights, I’m sure he’ll be impressed. This entry was posted in Uncategorized on April 17, 2017 by stacy. This week was National Pet Day and if you’re looking for something to sew up for your dog or cat that isn’t clothing, be sure to check out this waste bag holder with treat pocket (while your’e at it, you can make a matching scrappy leash) or this junk food cat toys (I’m going to guess this won’t hold up for dogs). Chickens don’t need to be left out of the day, when you sew up this chicken jacket. Another great modification of It’s Always Autumn’s (free) Classic Tee pattern this time transforming it into a midi dress. This modern duffle is perfect for showcasing large prints and coordinating fabrics (not to mention it’s a great size for traveling). Love the shirt, but hate the neckline? Learn how to turn a crew neck into a V-neck with this handy tutorial or try your hand at WabiSobi’s latest reconstruction, The Butterfly Tee. Bean bag chairs are the perfect fit for kids reading nooks. This one sews up in 30 minutes. Don’t ditch those old work shirts. Transform them into adorable little girl’s dresses (sizes 12m – 5T) or a color blocked top for women. Tired of lugging around craft supplies? This art tote keeps everything handy and is easy to carry. One can never have enough pincushions. This kaleidoscope version is pretty and a great way to use up scraps. This pretty little pillow is perfect for spring decorating. Looking for something bolder? Then be sure to check out this sunflower pillow. Sleep sacks are a great way to keep baby warm without the need for blankets. This mermaid version is practical and adorable and perfect for gift giving! Summer will soon be here before we know it. Get ready to hit the pool or beach with one of these easy to sew sunbathing companions. Sometimes the oddest things pop up on my Pinterest – this time I had to share. Face masks. And if that pattern doesn’t work, then this one comes in a wide variety of sizes. This entry was posted in Uncategorized on April 13, 2017 by stacy. Easter is just a few days away and I am more than a bit behind on sewing for it. Case in point: my lack of dress for the occasion. However, the other day on the Jalie Facebook group, Bonnie had posted that she morphed the crossover neckline of Jalie 3024 (the classic dress) with the boatneck with sleeves to come up with an entirely new look…. and it’s perfect! Since I needed something with sleeves, but love the crossover style, I decided that I would set out to make this for myself, too. I had originally pulled a Nicole Miller print out for this design, but never could find a solid that would match with any of the colors, so I dove into the stash once again and pulled out a rayon (almost slinky) knit fabric that I had picked up ages ago from Needle Nook Fabrics. Morphing this pattern was fairly easy – I had traced off the crossover style, then laid what I had traced over the boatneck pattern piece (lining up the sides as a reference) and traced off the sleeve area (or extended the tank). Sewing the material, however, was not easy. This fabric, while it looks fabulous, was a booger to work with – not only is it thick to sew, but has a tendency to skip stitches so this dress took a bit longer than what I expected to make…. but still sewed up quickly overall! Even though this pattern has been in my stash for ages, it was my first time sewing it up. It was a quick sew and I can see myself making the boatneck version in the future when I need a slightly dressier style to wear out. The fit is great too, although the neckline is a bit low and may require a shell or modesty panel over the bustline for church. However, between the fabric type and the dress style, I need spanx for this to look the most flattering… you know just a little something to smooth out the tummy area. Otherwise, I am in love with this dress – thanks Bonnie for sharing your idea! This entry was posted in Uncategorized on April 12, 2017 by stacy.